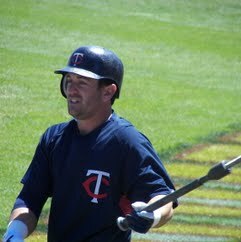 Nicholas Paul Punto is an American-Italian professional baseball utility player who is a free agent. He has played in Major League Baseball for the Philadelphia Phillies, Minnesota Twins, St. Louis Cardinals, Boston Red Sox, Los Angeles Dodgers, and Oakland Athletics of Major League Baseball. He has also played for the Italian national baseball team in the World Baseball Classic. Punto has the distinction of playing for one team in each division, and each of the franchises he has played for have been in existence since 1901.